Our partners are so important..By purchasing products from these partners you are supporting CBR as with every purchase we either receive part of the sale or a donation..
You shop. Amazon gives. When you shop at AmazonSmile, Amazon will donate to your favorite charitable organization.Click on logo to go to Amazon Smile, choose Carolina Boxer Rescue as your charity! The Boxer Rescue Foundation (BRF) is a not-for-profit corporation created exclusively for charitable purposes, specifically to provide financial assistance for rescued dogs of the Boxer breed while in foster care. The BRF exists to be different from other sources of rescue funding in that routine, yet costly, rescue expenses such as medications, minor surgeries, and rescue supplies are eligible for funding. The Boxer Rescue Foundation will disburse funds as they become available through online auctions, the Boxer Shoppe, and your donations. The BRF is an independent not-for-profit corporation under Internal Revenue Service Code 501(c)(3). Your donations and gifts are tax-deductible. We appreciate your support! Crossroads Ford loves Boxers! Get your boxer in a Ford today. CBR is so grateful for the support of local business owners like Allen Boyd and his beloved Boxer, Charlie. Crossroads Ford Cary is a proud sponsor of the Bull City Boxer Bash! Visit Crossroads Ford to find your next vehicle! Nutramax Laboratories researches, develops, manufactures and markets products that improve the quality of life for people and their pets. We manufacture safe effective products using high-quality, researched ingredients, and follow quality manufacturing standards. 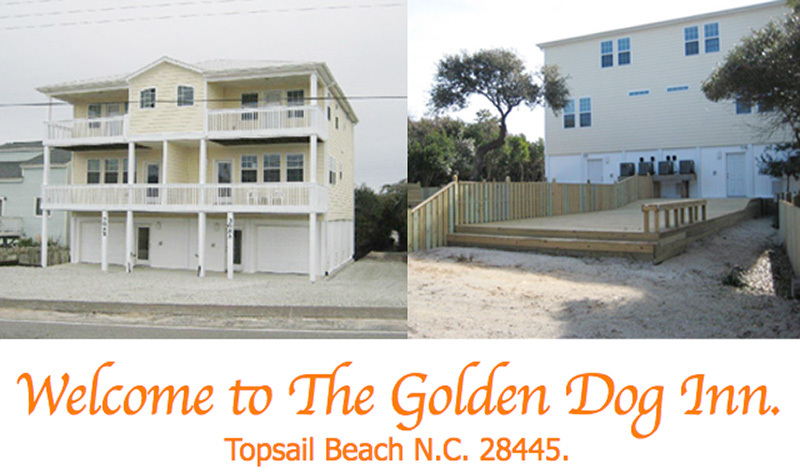 Looking for a great place to stay at the beach and bring your dogs? The Golden Dog Inn will donate to CBR whenever you book at their Inn and mention Carolina Boxer Rescue. Ocean View From The Golden Dog Inn at Topsail Beach, North Carolina. A program committed to supporting shelters and rescues! We believe in pet adoption and are committed to helping the animal welfare organizations that serve our nation’s homeless pets through the Partners for Pets program. BISSELL Pet Foundation® exists to assist animal welfare organizations. This includes helping to reduce the number of animals in shelters and rescues through pet adoption, spay and neuter programs, microchipping and foster care. Much of BPF's support and ability to help homeless pets is the direct result of BISSELL® pet product sales. Anytime a pet product is purchased, BISSELL will donate up to $10 for each pet product purchased* to BPF to help find every pet a home. You can feel good about bringing home a product that will help you clean up after your furry friends and for helping other pets find a forever home! "Thank you for buying and promoting BISSELL. When you purchase our products, it really makes a difference for the animals we are trying to save all across the country." Aunt Kerry’s is your locally owned, trusted authority on animal nutrition. Aunt Kerry has been providing Wilmington area pets with all natural, health food and supporting local rescues for over 20 years. Aunt Kerry’s Pet Stop is Wilmington’s original natural pet food store. We have a highly knowledgeable staff who collectively provide quality service superior to any of the big-box pet stores. Shopping at Aunt Kerry’s means that you, and your pet are family. Because loving your pet shouldn’t cost you a fortune, you will always receive top brand names at affordable pricing. Southern Grace Distillery supports CBR!!! Southern Grace Distilleries released our first bourbon and it has been awarded a gold medal at the Micro Liquor awards and a DOUBLE GOLD medal at the Fifty Best Bourbon Competition in New York City. It was distilled and aged right here at our distillery at the former North Carolina prison that operated from 1929 until 2011. It is the first bourbon to ever (legally) be aged behind bars. Come visit our barrels behind bars and learn how we make our award-winning spirits. A portion of the proceeds of every bottle of SUN DOG 130 sold will go to a local animal shelter in each state we sell in, but we need your help picking! Tell us about a local animal shelter that you think deserves the help, and we'll let voters decide! I draw pictures on the sidewalk a lot. I do corporate sidewalk art sometimes, but mostly sidewalk art for the people and they give me tips if they like it. I do busker festivals with my sidewalk art as well. I paint and will be painting more so in the future. Chalk Master Dave has beautiful artist prints of boxers and more. Be sure to mention CBR when you order. We are North Carolina’s leader in pet food nutrition. The Pet Pantry brand of dog & cat food delivers All-Natural, Holistic Dog & Cat food right to your door. We are dedicated to your pet’s health and happiness. Check out our Holistic Dog Food & Cat Food blends! Hale Pet Door reputation is based on superior quality, unsurpassed selection and unparalleled customer service. It is reflected through long-term relationships with our franchisees, dealers, factory certified installers and repeat customers throughout the world. At Hale Pet Door our customers’ satisfaction is our priority. Our skilled staff continually strives to provide our customers (two-legged and four-legged) with exceptional products and excellent service. We have been “Making Pets Happy Around The World Since 1985™” and are committed to continue doing so. Hale Pet Door will donate a portion of sales to Carolina Boxer Rescue for purchases thru our website. Thank you! Someone with Carolina Boxer Rescue will contact you soon.